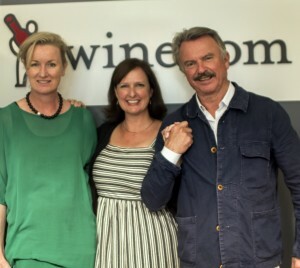 Last week, the Wine.com office was treated to a special visit from Sam and the Two Paddocks General Manager, Jacqui Murphy, along with the team from Negociants USA (the importer). Let’s be clear, this is not a “celebrity wine.” These hand-crafted, predominantly biodynamically grown, food-friendly wines have won over sommeliers, critics and consumers with their complex, yet approachable and incredibly balanced flavors and textures. While the focus is on Pinot Noir, Sam explained that his wife prefers to drink white wines, so they made a Riesling. Lucky lady! I loved the minerality, slight petrol notes, bright acidity and touch of residual sugar to balance out the 2014 Estate Riesling. We then tasted the silky 2012 Estate Pinot, the brambly 2013 First Paddock Pinot (their first vineyard and one of the oldest in the area), and the textural and age-worthy 2012 Last Chance Pinot (grown in the Southernmost area for growing grapes in the world), and all showed off the fact that Dean Shaw lets the terroir of each vineyard site shine, while maintaining his own personal touch. Complex and elegant, but with a fun and wild side, just like Dean. 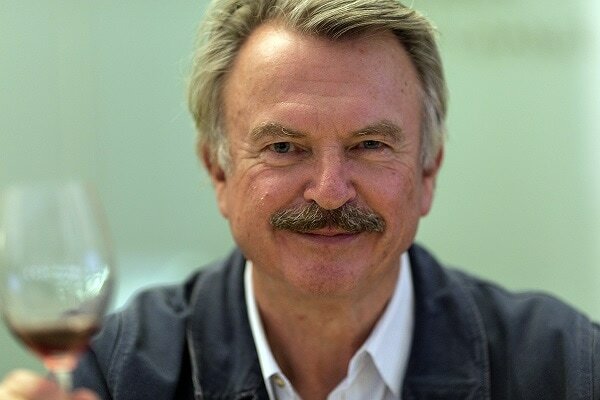 We really enjoyed Sam Neill’s visit and his generous, warm, educational and entertaining approach to sharing his love and passion for Two Paddocks wines, as well as for Central Otago as a world-class wine-producing region. 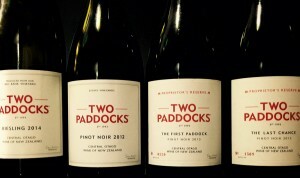 These wines are going fast, so get ‘em while you can! I suggest pairing with a few episodes of “Peaky Blinders” (on Netflix). Good stuff.